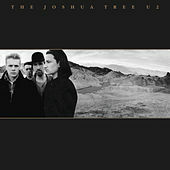 U2 joined the pantheon of World's Biggest Rock Bands with an album that deserved its monster sales and instant classic status. Great songs ("Running to Stand Still") and hit singles (the three opening tracks) abound. 2007 Universal-Island Records Ltd. Universal-Island Limited. Manufactured by Interscope Records.